On the other hand, the session has develop correctly as our teacher has taken the role of guide to present their students. Besides all my classmates have explained really well their own work as well as the subject itself. To sum up, I am really proud of my effort in this subject. I have learned many new things which I want to put into practice soon. It has been an incredibly useful subject. Thanks! Here you can see all my missions of this subject. I have added screenshots of each one. I hope you like it! Here you have five audio tracks which contain sentences related to the activities for my children. This activity has been carried out by Maria, Marga, Begoña, Marta and I hope you like it. On the first track, speaker presents the artifact 2, which consists in talking about last weekend, as you can see if you click on the activitiy link. Then, in the next track another speaker says a motivational sentences to encourage children to carry out the activity and don't be afraid to make error. On the third track, speaker introduces the artifact 1, a infoedugraphic in which children have to fill in the clouds to create a draft o scheme as a support for next oral presentations. If you click on the next link you can see an example of a infoedugraphic for every topic about favourite book, sport, film, food and so on. On the fouth track, you can listen the speaker introducing our collaborative presentation to increase the motivation of our children for their oral presentations and compositions. You can click on the link if you want to see it. Finally, in the last one, speaker asks a child for he prompts his oral presentation about holidays. If you have to listen all the audios you only have to click on the next tracks. For our second artifact we have created a 'Padlet' in which students should write what they did in their last weekend. This tool permit us to see how the task develops continously, besides it is really easy to post for children. So, they probably love it. This artifact is related to one of the activity for our topic in which they present future and past plans individually. We have already finished our collaborative presentation by Montserrat Mejía, Ana Bercovitz and me. We have tried to carried out an enganging presentation which is related with our three ebooks. I hope you like it! One of the activities for our topic is 'Just a minute'. 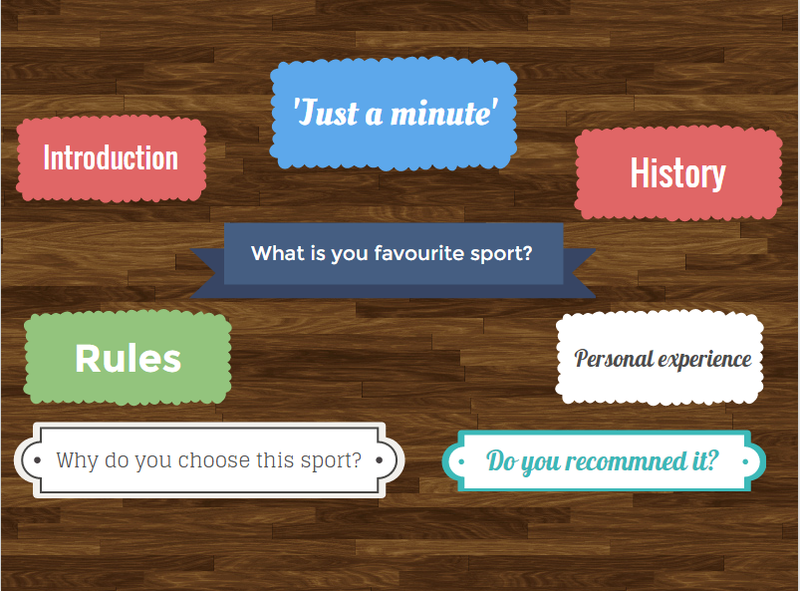 It consists of presentations about your favourite film, sport, food or book in one minute. Before presenting they have to create a draft to guide thei compositions which will be presented. So, we have created an image with 'Piktochart' with main points, ideas and questions to based on their writings. Children could write on the title and fill in the information or directly on a Google Docs, but the all the results should be sent by email to the teacher. I hope you like it! I think that it is really usfeul. I have already finished my contribution to #twima2 ibook. First of all, I had to choose the dream, and I selected a Gabriella´s dream because it is really positive and optimistic. Before I chose I was reading many dreams but it was really attractive and enganging. Then, I was thinking about how I should represent the idea, and I opted for 'Storyboard that' which is a tool used in other missions, so I know to use it properly. In the process to represent the dream I have tried to follow the Gabriella's content, but I have added personal ideas to develop the creative thinking. I didn´t like a feature of 'Storyboard that' tool. I could't write Japanese words because it isn't recognize these letters. On the other hand, I chose this application because it is really intuitive and representative for children, so it is really easy to undersrtand too. But, when I finished the task I had another idea to improve it. 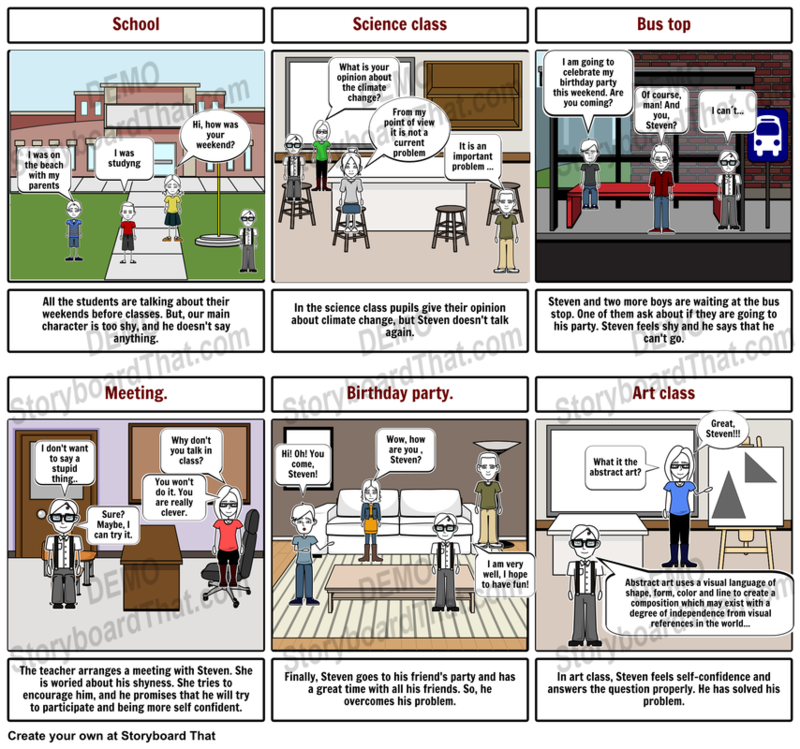 I transform my comic to a video with 'Animoto'. This procces quite easy because I had just to download the cells individually and paste one by one in the application. Finally, I chose a nice song from the application. About the project, I really love it. It is a great idea to give the opportunity for children to write their dreams, and then, we could transform in an tecnological and visual way. Everybody know that education is an active process in which we have to be updated continously, and this project develop this aim. Here you have my video challenge. It is based on the storyboard of 'The shy boy' which you can see in the last post. On the other hand, for this mission I have used the same individuals cells to create this video. Besides, I have added the famous Kids' song of MGMT, which is related with the child world. I have tried to make a long video to be read adequately for children because there are some cells with many information. According to the story, it shows us a current educational problem, a guy very shy who has problems with his self-confidence, fortunaly he overcomes it with the teacher´s help. Hello everybody, here you can see my storyboard for a planning video challenge. I hope you like it, it is a common case in any class.You just have to click on the image. 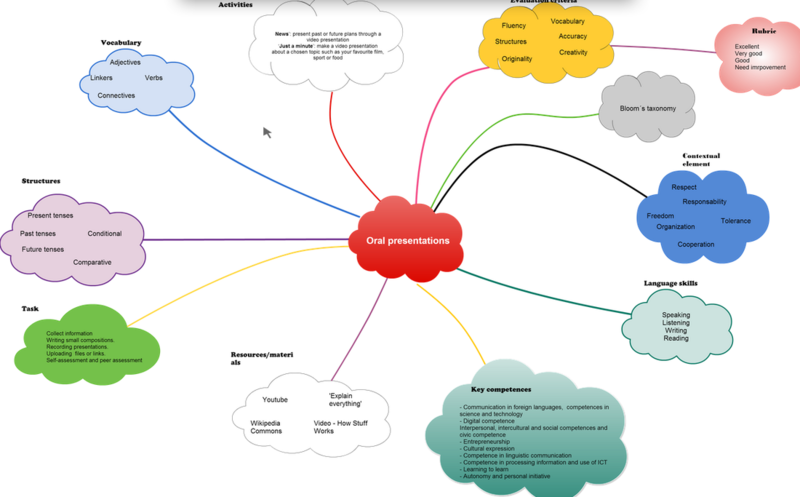 We have also done fantastic mindmap to explain easyly our ebook. it is mine, i hope you like, i have tried to do a clear tool to undertand it.